Did You Know John Lennon Wrote Weird Hilarious Books?! I’ll go out on a thin limb here and say we are all familiar with John Lennon. If you don’t know him from his star-making career as one of the core members of The Beatles— most of whose songs were written by the Lennon-McCartney (as in Paul McCartney) songwriting duo— you might know him from his stellar post-Beatles career, or from his work with his partner, Yoko Ono. However, there is another creative medium in John Lennon’s repertoire that has not received quite as much attention as his music. 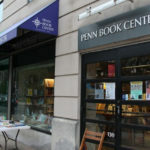 In honor of what would have been Lennon’s 78th birthday, we here at Bookstr would like to draw some attention to his less-regarded creative output: his writing— not songwriting, but creative writing, in the form of his books, In His Own Write, A Spaniard in the Works, and Skywriting by Word of Mouth. In His Own Write was Lennon’s first book, published in 1964 by Simon & Schuster. The book is made up of short stories and Lennon’s drawings. It is written in a nonsensical style that is characterized by intentional misspellings, surrealism, free association, and abrupt shifts in thought. The book also happened to be the first solo project by any of The Beatles. I was bored on the 9th of Octover 1940 when, I believe, the Nasties were still booming us led by Madolf Heatlump (who only had one). Anyway they didn’t get me. I attended to varicous schools in Liddypol. And still didn’t pass — much to my Aunties supplies. As a member of the most publified Beatles my (P, G, and R’s) records might seem funnier to some of you than this book, but as far as I’m conceived this correction of short writty is the most wonderfoul larf I’ve every ready. God help and breed you all. A Spaniard in the Works was Lennon’s second book, published only a year after In His Own Write. The style is very similar to In His Own Write, featuring the same intentional misspellings, short stories accompanied by drawings, and absurdism. I Believe, Boot . . . This was Lennon’s final book, posthumously published in 1986, a whole twenty-one years after his last book, and six years after his death. This book is rather different from his others; for one thing, it abides by typical spelling convention. The book is also a sort of autobiography, rather than a collection of surrealist stories. 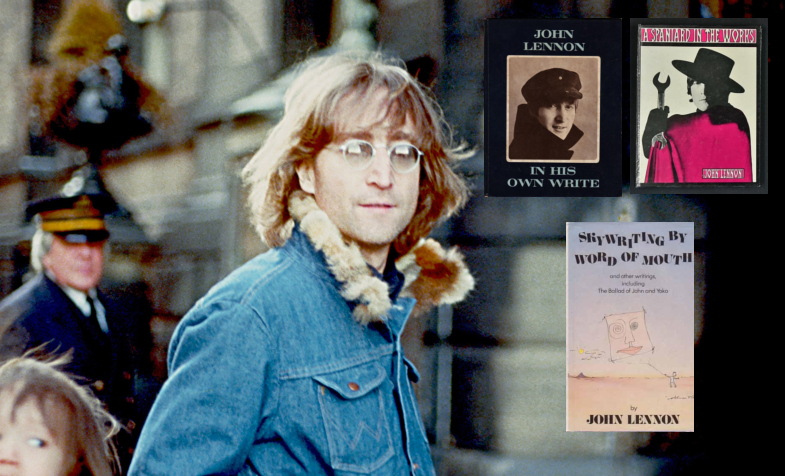 Written in its author’s much-imitated, never-duplicated voice, populated with his own illustrations, full of the wit and honesty that helped make him one of the most iconic, polarizing figures of the 20th Century, Skywriting by Word of Mouth is the lost and recovered, posthumously published autobiography of John Lennon. Graphic Novel Author Raina Telgemeier Announces Heartfelt New Books at Comic Con!